So retrohun is doing their blog thing on github of all things, and the latest entry, is of course Xenix tales. As mentioned in comments on this blog & other places they found another driver for Xenix TCP/IP! Going back years ago, the tiny NIC driver support for the elderly Microsoft/SCO Xenix 386 v2 included 3COMA/B/C and SLIP. However it’s been recently unearthed that D-Link had drivers for their DE-100 & DE-200 models, and as it happens the DE-200 is a NE-2000 compatible card! That means that Qemu can install/run Xenix, and it can get onto the internet* (there is a catch, there is always a catch). 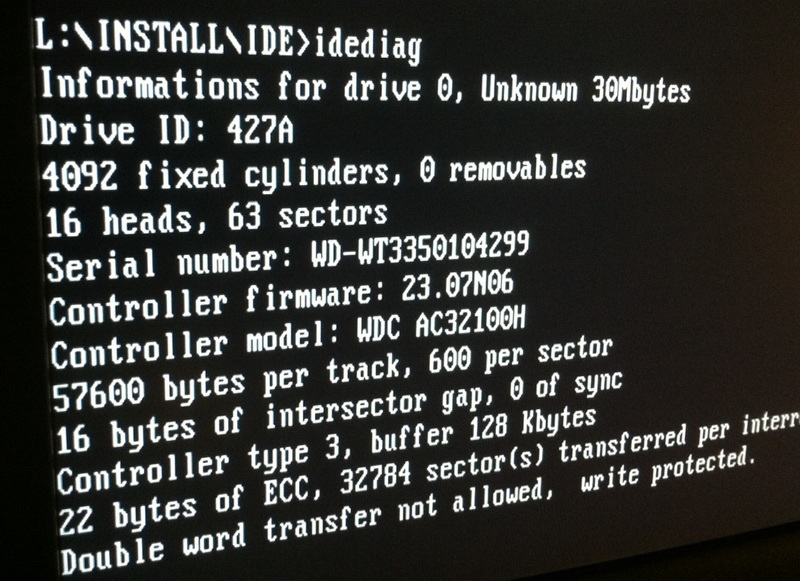 Setting up the driver is… tedious. Much like the system itself. I found Qemu 0.90 works great, and is crazy fast (in part to GCC 3) even though Qemu 0.9’s floppy emulation isn’t good enough to install or read disks. 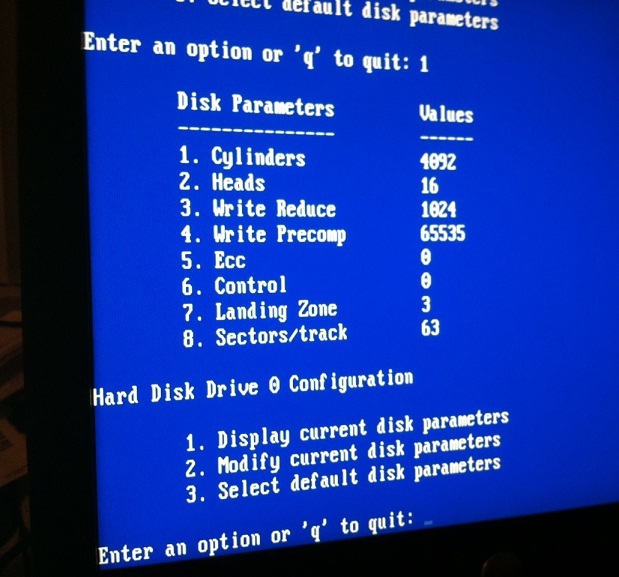 With all the updates to Qemu 3.1 use that, it’ll read the disks, and allow for networking. When compared to the SGI Indy’s 133Mhz R4600SC score of 194,000 @ 50000 loops that makes my Xeon W3565 322 times faster, under Qemu 0.90! And that’s under Windows! BAR4: I/O at 0xffffffff [0x000e]. BAR0: 32 bit memory at 0xffffffff [0x01fffffe]. BAR1: 32 bit memory at 0xffffffff [0x00000ffe]. Which at least brings it up a bit better. I added in a gratuitous ping also in the startup script to build the arp for the gateway. Which brings us to the next point, the routing command is broken after loading the D-Link driver. I tried all the available TCP/IP drivers for Xenix (1.1.3.f 1.2.0e). So no dice there. And yes, for SLIP/no interfaces the route command works as expected, just not with the DLINK driver. However local connections from the host machine do work, so yes, you can telnet into the VM! This makes using Xenix far more usable say for managing files, control/compiling etc. So there you go, all 20 Xenix fans out there! Not only a way to get back online, but to do it in SPEED! This is based off my old post, Running Netware 3.12 on Qemu / KVM 2.8.0 although with a few more flags to assert the user mode tcp redirect. I’m using Stefan Weil’s build of the x64 native i386 Qemu. Dear lazyweb. 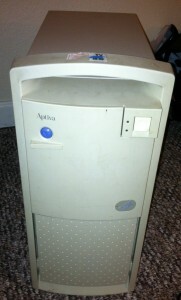 I have been collecting operating systems and system software since 1991. My archive was always intended to be eventually made publicly available. A few years ago I began researching various hosting options. In the end I decided to settle on archive.org. Nothing beats free and maintained by someone else. The whole hoard is ver very large and it will probably take a long time to upload. Due to a popular demand I started with smaller items mostly sought after. Enjoy. 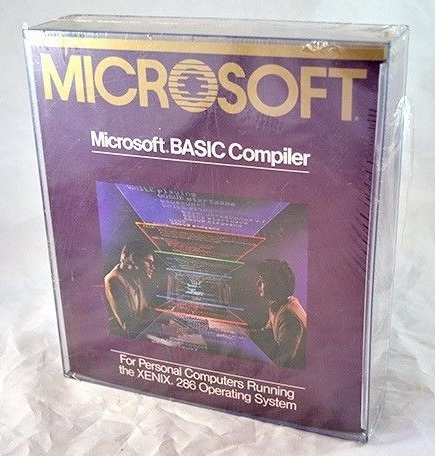 Microsoft XENIX and OEMs such as Altos, Apple, IBM, Intel, Olivetti, Sperry, Tandy and of course our all time favorite SCO. Plus all these juicy apps. Check back in future for more uploads. But a ‘fixed’ version for Xenix was requested. 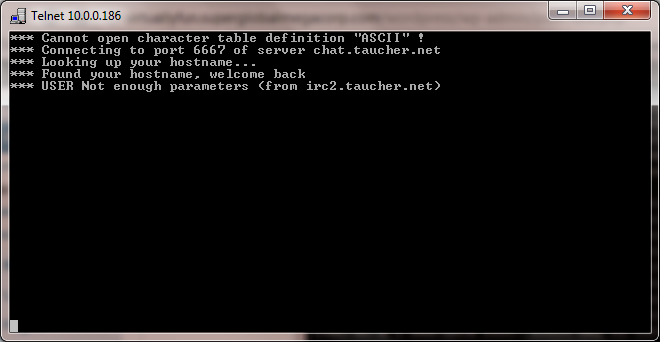 Apparently lots of IRC servers have slightly changed their syntax, which prevents ircII-4.4 from working. For Xenix users, you can download the binary tar here. 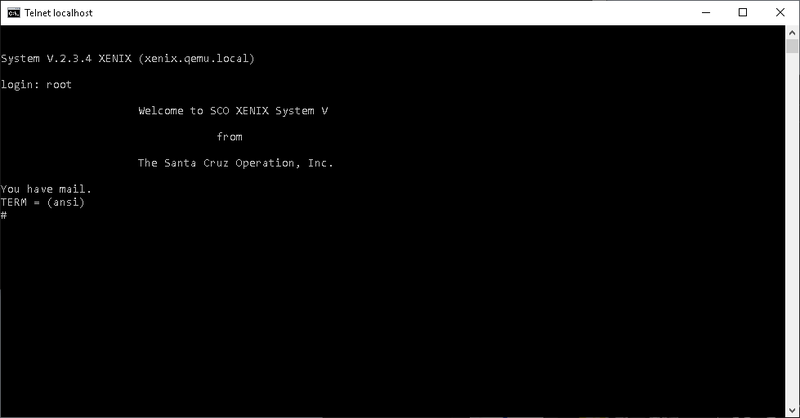 This is probably the most significant Xenix post I’ve made since the old days when I managed to get Xenix running in Qemu all those years ago. What has long been a frustration with the beleaguered Xenix community is that although there was a TCP/IP package for Xenix (and a much required streams package…) it only worked with a handful of ethernet cards. And all of them were early 3com’s. While the world was using NE2000’s on just about everything, the most common ethernet board Xenix would talk to was the 3c503, which is getting harder and harder to find as the years go on by. But right now none of this matters. I was looking at this article on setting up Apollo Domain UNIX, on MESS. And apparently it will do networking!  Which is cool, so I poke around MESS, and what do I see? 3c503.c. Could it be true? Now I ended up having to download the source to mame 0.151 (mame0151s.zip) and building it on OS X. Of course remembering to alter the makefile to include the ‘USE_NETWORK=1’ statement, and build for Mess. And just as it looks like something out of SIMH, Mess makes use of libpcap which means that you are *unable* to send/receive on the host computer. (OS X & Win32 binaries). And of course you’ll need a ROM & Xenix diskettes. Installing Xenix is pretty straightforward as long as you know your system key, and how to navigate the mess UI without rebooting mess or exiting by mistake (scrolllock on the PC, function/Delete on OS X). 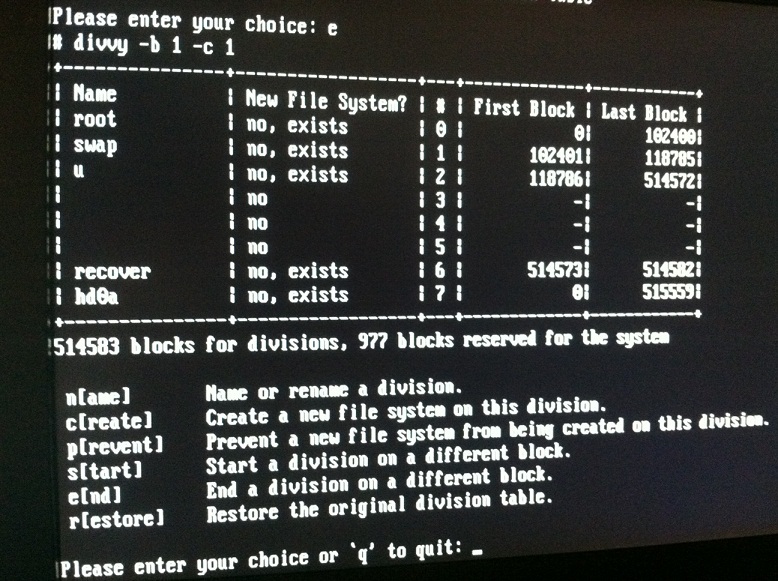 First create a hard disk, and as always it should be ~500MB max. Naturally you’ll need to setup the CMOS, for your memory size, and the hard disk. The BIOS I’m using didn’t autodetect the IDE drive, but it doesn’t matter as I know it’s characteristics as I created it. From there Xenix was a pretty straight forward deal. Mess has good floppy drive emulation so it just worked. Adding TCP-IP was just as involved, and all went well. When it came time to install TCP & the network driver, remember to use thinnet, as the thicknet transceiver isn’t connected (as it would seem). The 3c503 is softset, so I went with IRQ 5, port 0x300, and thinnet, and it works fine for me! 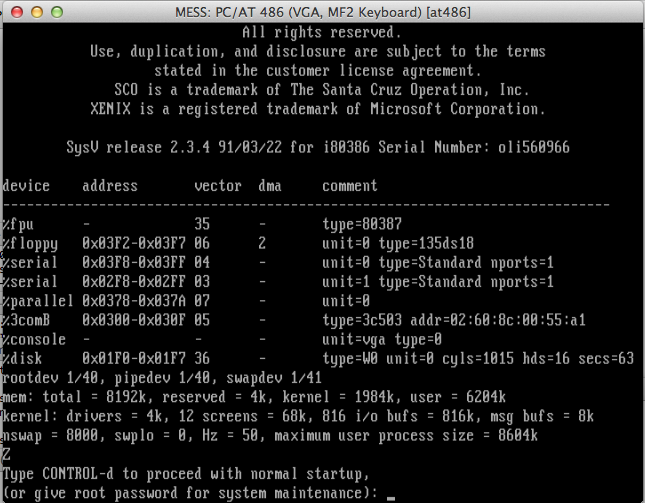 Xenix TCP/IP in action, inside of MESS! Remember you will not be able to attach to it from your computer. Instead you must attach from another computer. Also MESS tries to emulate true to hardware so it’ll be just as slow on MESS as it was on the real hardware. I suppose you could go with the at386 driver, but yeah it’ll be slow. The current at586 driver has issues booting from the hard disk, and I didn’t mess with it too much as Xenix is known to have issues with some Pentium systems. Although I think the next place for adventure is the emulated Adaptec 1542CF. 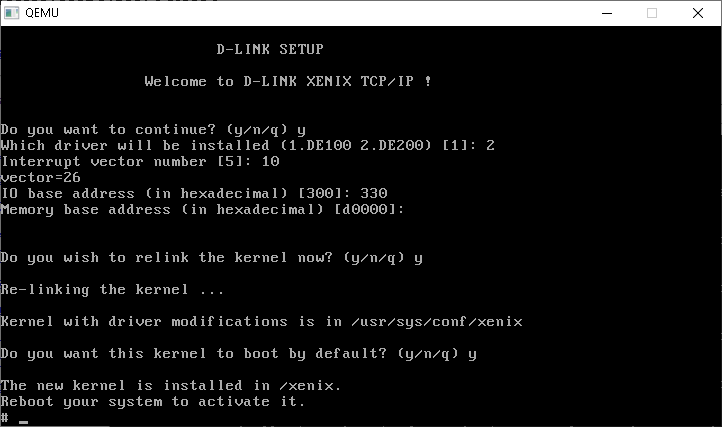 I figured that since I could build hack for some ancient 4BSD flavors that I should be able to build hack for good old fashioned Xenix. And it all seems to work as it should! I used the source from here, and only had to do a few small modifications to get it to compile and run on Xenix via GCC 1.37.1 . You can download my binary, and source mods. I’ve managed to keep this instance of Xenix up for 19 hours, I was thinking about doing some kind of public access to this system, but I don’t know if people would even be vaguely interested.. But if you want access, I can set you up. Building this was.. . Involved, but I finally got it to link! Oh happy days! But then disaster struck! Not enough parameters? And the worst thing is that I got this error EVERYWHERE… Googling this has become useless as everyone just says google it, so google made all that turn into a negative feedback loop! Or even useful advice like ‘upgrade your client, LOL’, but after going through an hour of `fun` getting this to run on Xenix I wasn’t going to try a new version of the source just yet. Which looks nice, but according to this as a reference, it doesn’t have enough parameters! So I figured I’d change it to something more like this! And as you can see, it works! 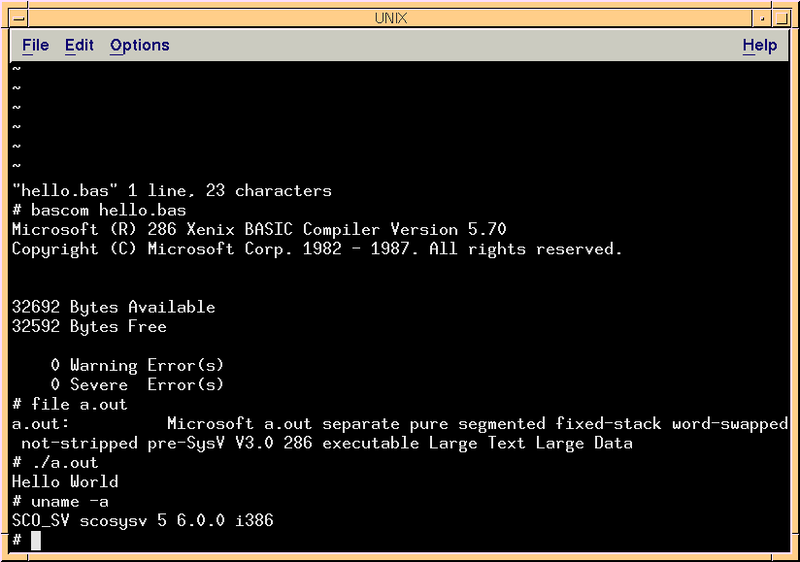 Even the version string reports Xenix! If anyone cares, you can download the binary here. So a while back I had scored this IBM Aptiva 2176 for $6.98 . I had been running OS/2 1.21 on there with great success, but I felt like trying something different. The IBM comes with a WDC AC32100H hard disk, 2GB in capacity. I figured this would be quick and easy to install. So I thought I could just ‘override’ the disk parameters under Xenix, and tell it, that its 1023/16/63. Sure that worked for formatting but booting? nope! But the numbers look good!? And yet trying to override the geometry with these parameters only lead to disaster. Clearly what these programs were telling me were conflicting, what I needed was something to just tell me what it sees. So I thought I’d use Linux. 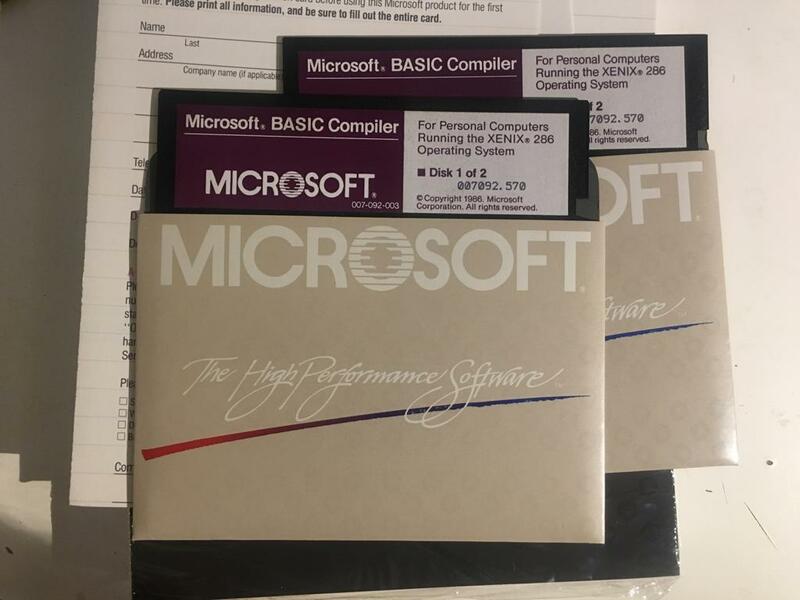 First, yes I have two disks, I’m only interested in the ide0/hda. but as you can see its translating. I found the same result for both CHS/LBA. The only thing I didn’t notice for some reason was an option to turn drive translation OFF in the BIOS. Oops! So now I was able to boot the Xenix install, and it finally saw what it should have seen! 4092 Cylinders, 16 heads, 63 sectors/track! With that all said and done, it was time to reboot, and it booted from the hard disk! I could then complete the install. After that was out of the way I noticed that it was not mounting the /u filesystem! Now it mounts up like you’d expect! If you plan on making the /u for peoples home directories don’t forget to alter the /etc/default/mkuser file! Now that it’s booting, the next step will be to get it onto the internet…. PCE can now run PC/IX and Xenix! That’s right! from the homepage you can find screenshots, and download links, and ready to run systems too! Not that I could imagine *WHY* you would want to run the 8088 version of Xenix (or the 286 version too for that matter) but rest assured you now can. 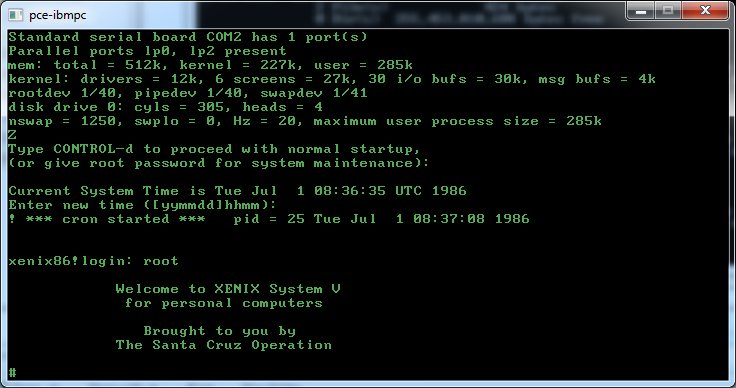 Author neozeedPosted on January 8, 2012 Categories pce, xenix13 Comments on PCE can now run PC/IX and Xenix! Other than that there is no sound just me installing.